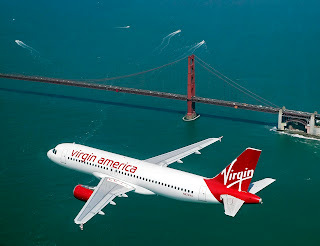 From December 2nd, new arrival from Virgin America. The Convention and Visitors Bureau (CVB) of Riviera Nayarit is ready to receive the first group of visitors from San Francisco traveling in the inauguration flight of Virgin America into our destination on Friday December 2nd and has prepared a warm reception at the airport together with authorities of the neighboring state of Jalisco. One of the main objectives planned by the CVB in 2011 is to diversify the origin of visitors coming to Riviera Nayarit, and the arrival of this new flight will benefit all the people of Nayarit, stated the President of the CVB of Riviera Nayarit, Fernando González Ortega. “We are working very hard in order to attract tourism from other cities and to do so we need to get direct flights, to facilitating their arrival. This will allow us to increase the number of visitors along the 200 mile coast line of Riviera Nayarit, from Nuevo Vallarta to San Blas and beyond, improving the local economy not only for the tourism industry but for all of the productive chains related to it in the region”, said González Ortega. The welcoming of the first group of tourists coming on this flight of Virgin America will take place jointly with Puerto Vallarta and will include mariachi music, gifts and a welcome comity at the airport. During this first flight, 10 journalists are traveling on this inauguration flight and we have organized an itinerary for them to explore our coastline to allow them to personally experience the features of our destination, so that they can then eventually write about their experience and promote our destination upon their return to the US. “We’re planning for journalists to take a boat trip to Marina Riviera Nayarit at La Cruz de Huanacaxtle and then a ride to Sayulita and San Pancho, where they will be attending dinner and a Polo game. The important fact is that they will be able to write about the cultural, historic, and gastronomic wealth that can be found in our State. This will generate expectation for future tourists that want to explore these areas”, said the President of the CVB. The CVB of Riviera Nayarit is a non-profit private association that works intensely to promote the entire coast of Nayarit, with the firm belief that tourism represents an important boost of the economy of all the People.